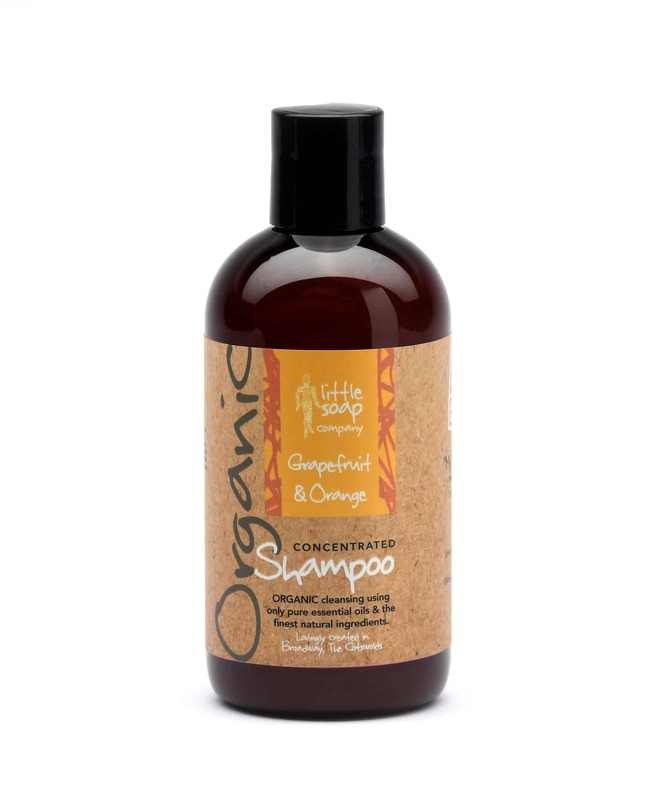 Our NEW Organic Grapefruit and Orange Shampoo. To celebrate our 10 year anniversary we’ve launched a brand new Citrus range. 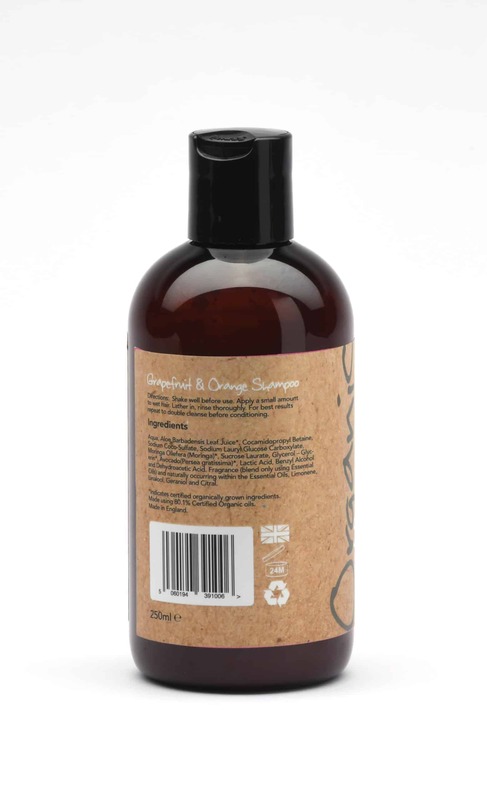 Zesty and Zingy and really refreshing, this Shampoo is the perfect pairing for our Organic NEW Conditioner. Shake well before use. Apply a small amount to wet hair. Lather in, rinse thoroughly. For best results repeat to double cleanse.  Follow with Little Soap Company Organic Hair Conditioner. Aloe Barbadensis Leaf Juice*, Cocamidopropyl Betaine, Sodium Coco-Sulfate, Sodium Lauryl Glucose Caroboxylate, Moringa Oliefera (Moringa)*, Sucrose Laurate, Glycerol – Glycerin*, Avocado(Persea gratissima)*, Lactic Acid, Benzyl Alcohol and Dehyroacetic Acid. Fragrance (blend only using Essential Oils) and naturally occurring within the Essential Oils, Limonene, Linalool, Geraniol and Citral. *Indicates certified organically grown ingredients. 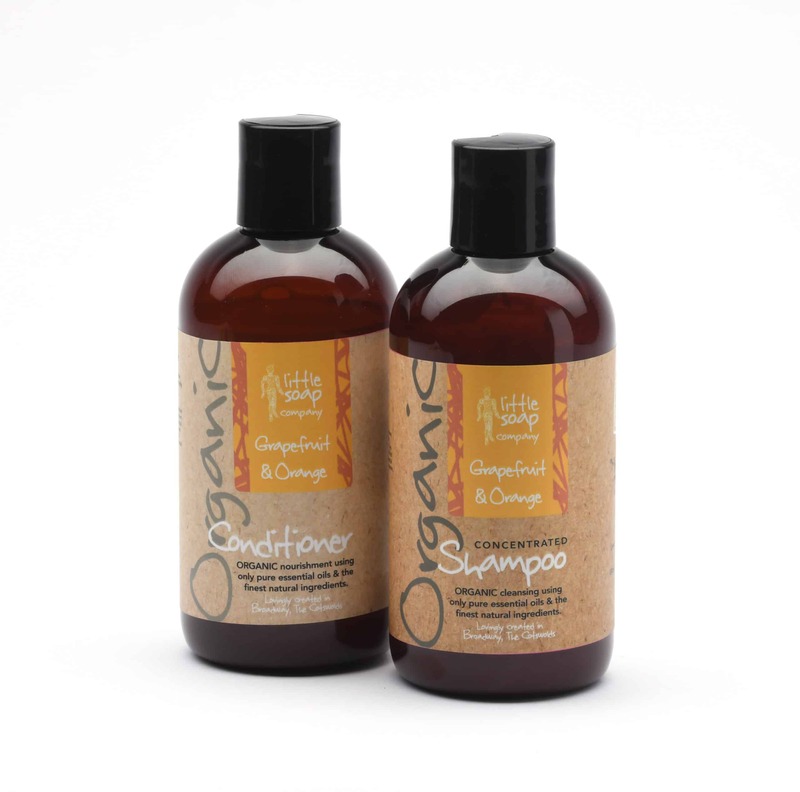 Made using 80.1% Certified Organic oils. Made in England.